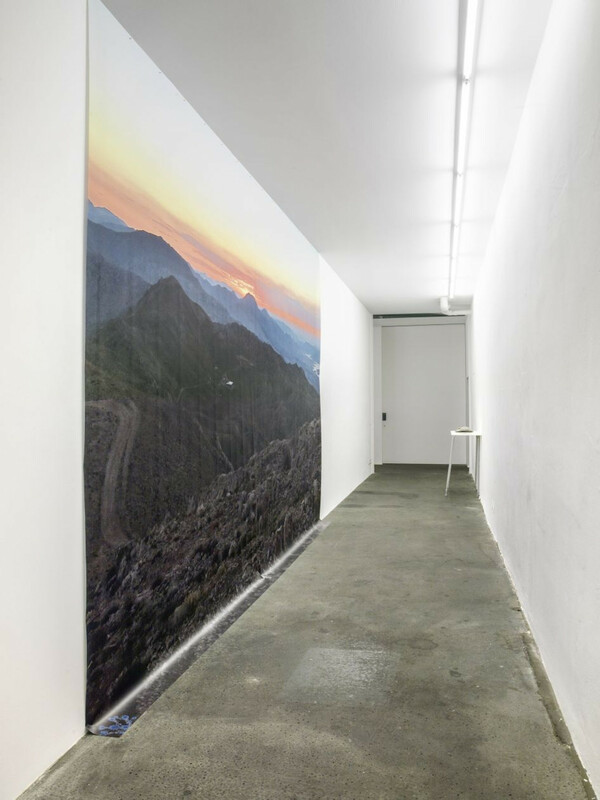 KÖNIG GALERIE is pleased to present sunrise, American artist Justin Matherly’s second solo exhibition at the gallery. 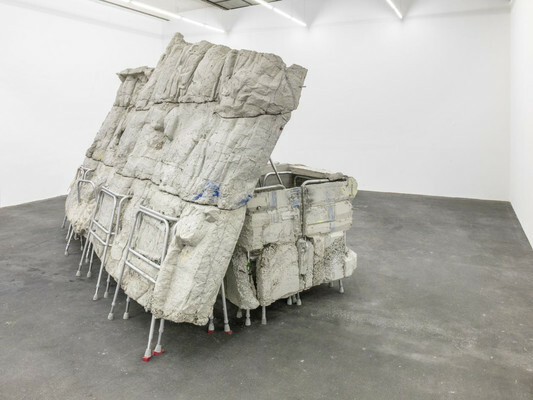 An oscillation of proximity exists in Matherly's prodigious cast sculptures and large-scale photo work. 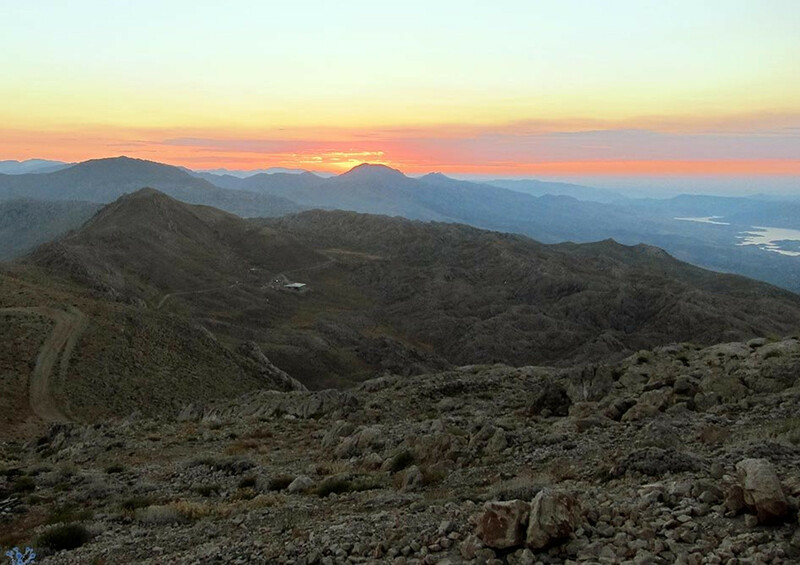 At the furthest distance of the landscape, we see the sunrise; it rises towards us while appearing to retreat as we move towards the horizon line. 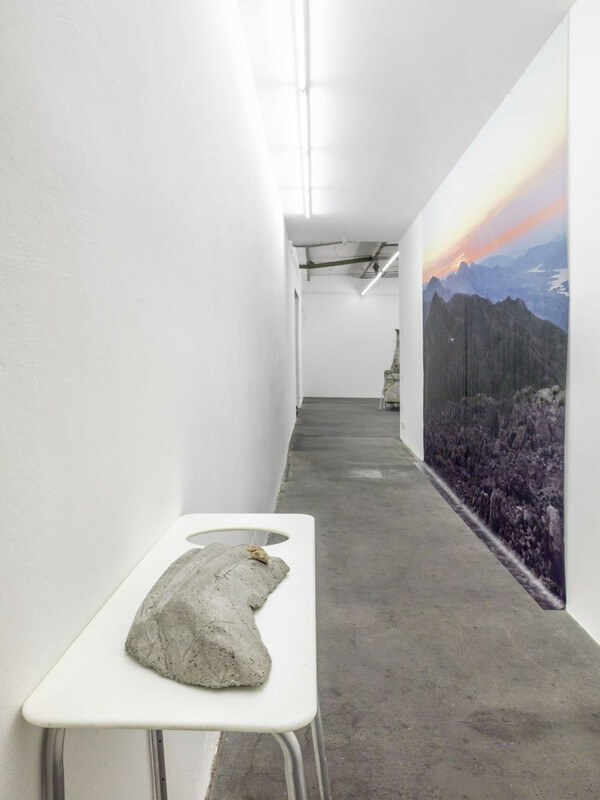 Such constant, paradoxical shifting is allegoric of the kinetic nature in Matherly’s work: meaning and source are molten, and each degrades as the final composition takes form through a decidedly flexible casting process. 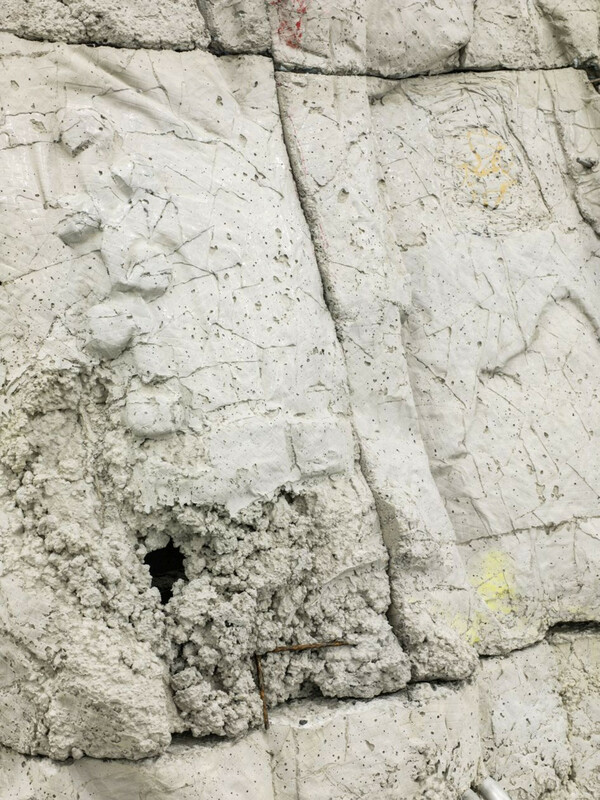 An array of soft materials, such as malleable Treegators (slow release watering bags for foliage), allow for an additional element of chance in reference to the specificity of the carved form crafted from industrial Styrofoam. For the first time, Matherly presents what appears to be a documentary photograph of a sunrise at an excavation site of the temple-tomb, Nemrud Dagi, in southeastern Turkey. It is a pointed departure from his other two-dimensional works, which endure a process of heavy abstraction from their source material. Here a photograph is presented seemingly unedited, captured by the artist on site. Yet a small instance recalls that representation is never without manipulation – collaged little blue flowers punctuate the bottom left corner of this. This addition is swathed in connotative lineages: among these, it is a recurring symbol in German Romanticism and a provocative emblem for the unreachable. Sunrise dominates the gallery. Divinities Zeus and Apollo are depicted with the Hellenic King Antiochus I, as Matherly continues his investigation of dexiosis reliefs – in other words, right-handed clasps. An action of political alignment, it is both loaded and impoverished of meaning by its overuse and ubiquity. 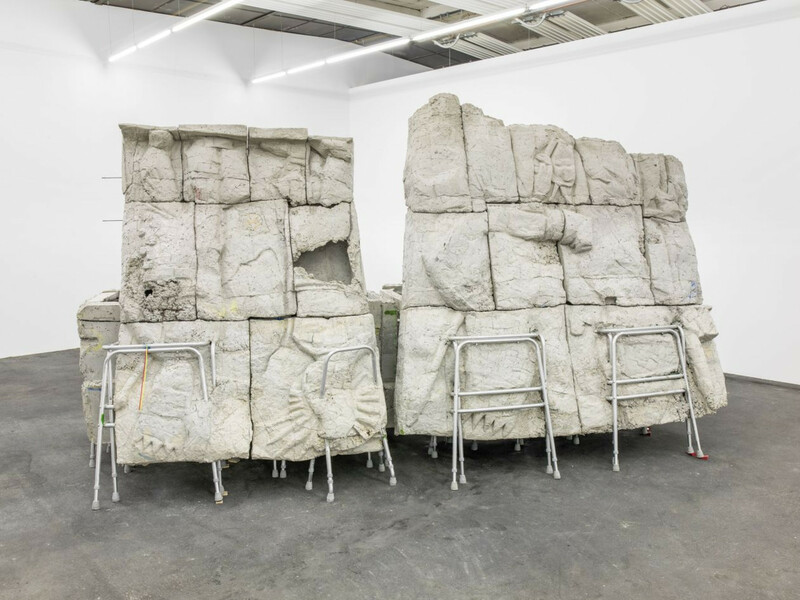 The ambulatory supports which recur in Matherly's works are central to the work, propping up the rising facade and revealing the hollowness and holes that belie the sculptures weight. It is ridden with pathos; the walkers and crutches seem to be in a perpetual state of exertion. 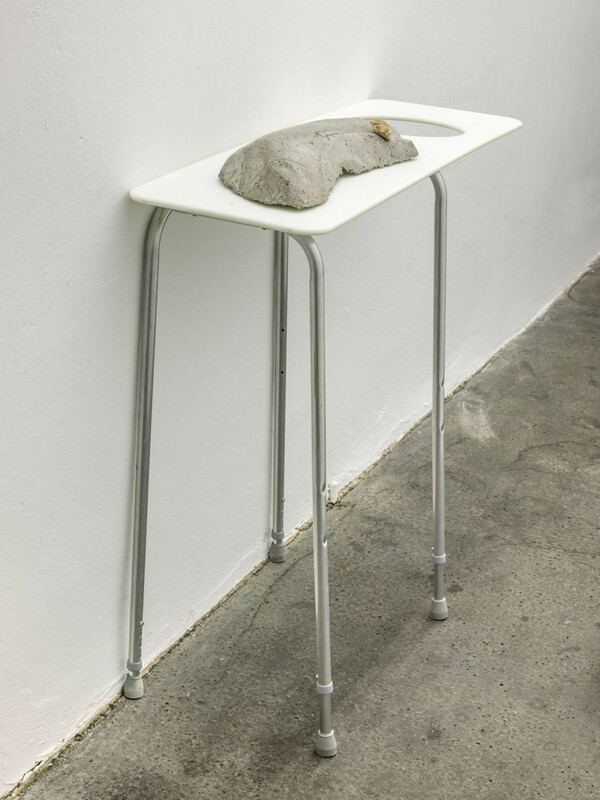 Backing away from this piece, the pictorial handshake, the extended readymade arms and legs that support sunrise gives the work a humanistic corporeality – in essence, it is a gesture. A more literal deconstruction exists in a small-scale sculpture propped against the wall. 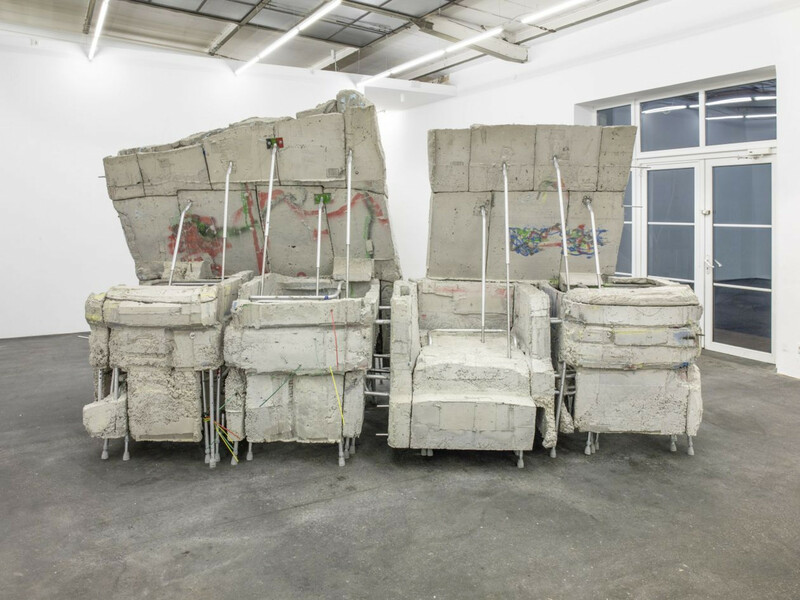 Clinical equipment, concrete, and a rock collected from the Turkish site compose a work that is not self-supportive, but relies instead on the gallery wall. It is a conjurer of fragmented histories and sources also, which lean on each other for context and support in contingent networks of meanings, however flexible. Sources are generated, then self-generating; Objects cycle along a mythic, twisting human narrative; Meanings shift ad infinitum somewhere between the sacred and the hollow. Justin Matherly (born 1972) lives and works in Brooklyn. 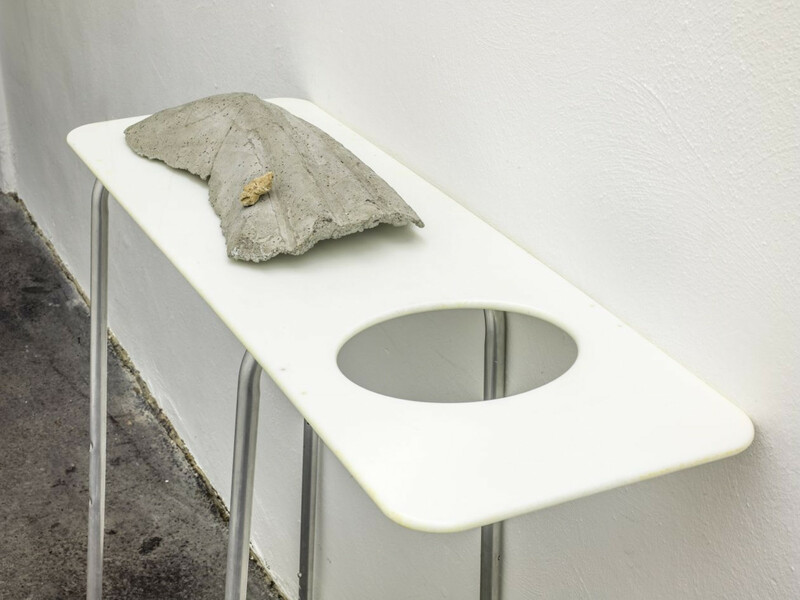 His sculpture Sunrise was presented in the Unlimited sector of Art Basel (2013). His work has been extensively exhibited in New York, at Paula Cooper Gallery (2013), with the Public Art Fund in City Hall Park (Common Ground, 2012), Bureau (2011), or the Sculpture Center, (2010). 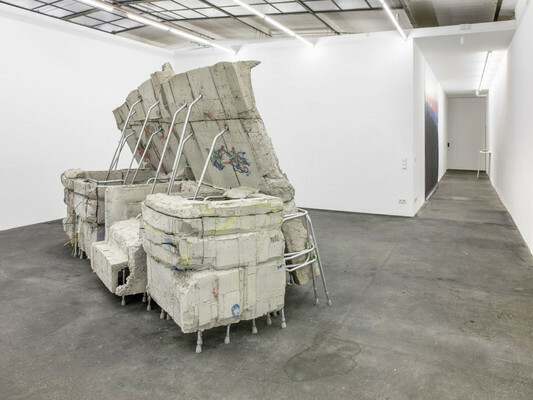 Justin Matherly’s next exhibition will be in February 2015 at Vienna Secession.